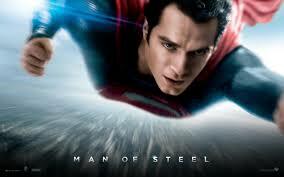 Man of Steel – Did You See That One? Clark Kent (Cavill) has always known he was different. As a child his mother (Lane) and father (Costner) did all that they could to help him control the powers he held within. As an adult he’s wandered the world, looking for a place to exist without being discovered. When Earth is invaded by a powerful enemy (Shannon), Clark uses his abilities to try to save the world. Superman is a hero we’ve seen in many different incarnations. From the early radio shows to feature films, the character has reached generations spanning back to 1933. He’s one of the characters that has allowed the superhero genre to blossom for over 75 years. This feature film is the newest tribute to the classic character. The movie features a wide range of stars and a very nicely written story. Zack Snyder (300) took on the task of rebooting the franchise as director. Henry Cavill (Immortals) takes on the lead role. The cast also includes Amy Adams (Doubt), Michael Shannon (Revolutionary Road), Russell Crowe (Gladiator), Diane Lane (Unfaithful), and Kevin Costner (No Way Out). With all the big names in this film I expected some good performances and I wasn’t disappointed. None of the characters feels over-acted or out-of-place. Henry Cavill does a great job playing the conflicted and secretive hero. Both Costner and Crowe do some great work, each playing key parts in the story. 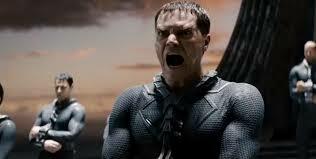 The villain of the story is portrayed by Michael Shannon, one of my favorite actors. He really anchors the other side of this movie nicely. Finally, Amy Adams does a great job as the inquisitive reporter looking for the man behind the supernatural feats. With a great cast, the movie needed a really good story and they got one. The writing in this film does a wonderful job keeping the essence of Superman alive. The story combines a great back story with the right elements for the meat of the plot. I was especially pleased with the origins of Superman as they’re written for this film. The characters have nicely written dialogue that fits the genre and feels natural all at once. The visuals in this film come together with the sound to finish a really nicely made movie. The action sequences have great graphics and camera work, while the score seems to play along with each scene perfectly. I think most action junkies will love this one for the fight scenes and other intense moments. Overall, this was a great addition to the Superman franchise. It rebooted a franchise that needed a quality start, leaving it open for future films. If you liked the Superman films of the past, I think this one will not disappoint. It’s also a great addition to the comic book film genre that has been growing over the last decade. I’m also glad to see that another superhero movie that’s good for the whole family. I give this one 4.4 out of 5 stars. Pingback: The Outsiders | Did You See That One? Pingback: American Hustle | Did You See That One? Pingback: Jack Ryan: Shadow Recruit | Did You See That One?